Before numbing your mind and senses with a wall of paint chips, figure out your primary reason for repainting your home’s exterior. Do you want to modernize a past-its-prime look? Restore its historical significance? 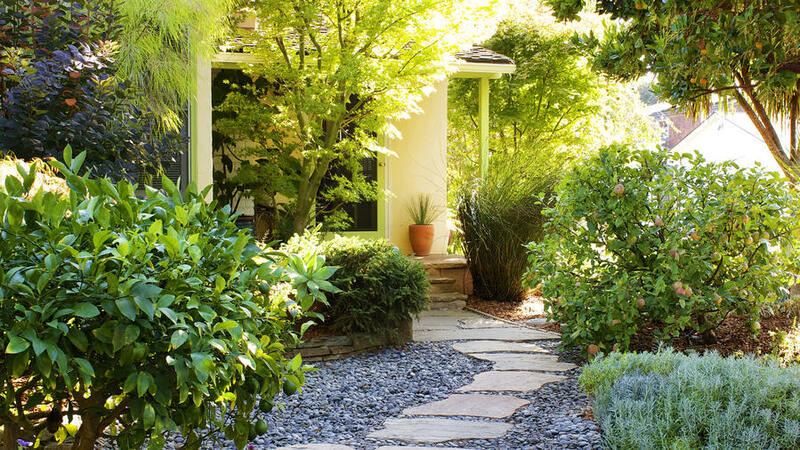 Highlight the amazing landscaping you worked all last summer to put in? Whatever your answer, use it to zoom in on appropriate color families and filter out individual hues that don’t work toward your goal. 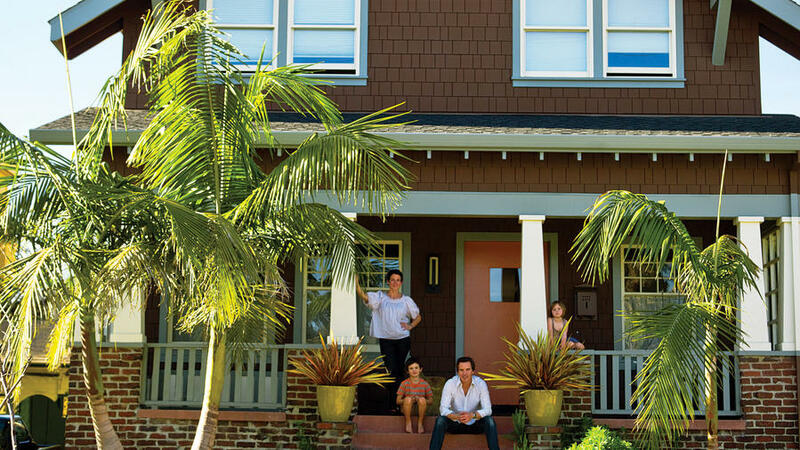 A terra cotta and rust red palette will rarely look at home on a Craftsman, but will make an adobe-style home come alive. 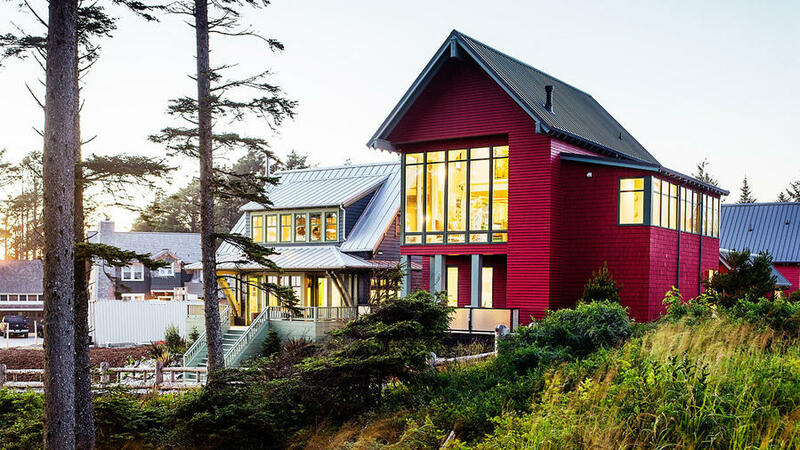 Your home’s architecture likely has a historical color family or style. (Drive by historical homes of similar ages and styles in your area as a shortcut to familiarize yourself with the palette.) 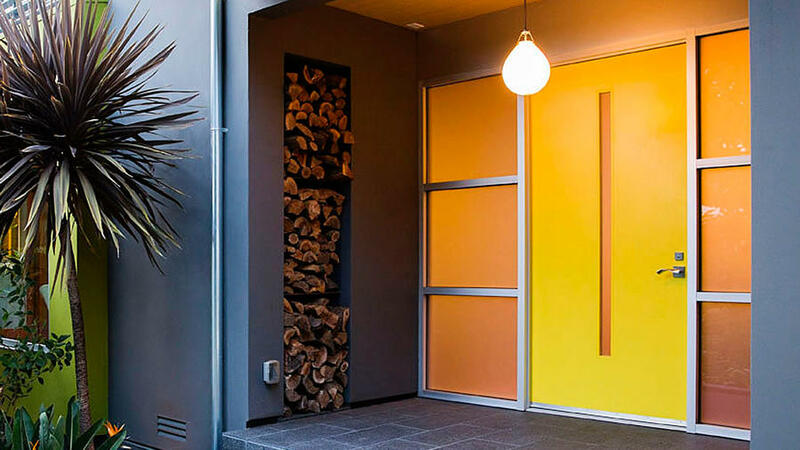 Start with those colors, and then tweak them to your taste and architectural features. Keep in mind the homes surrounding yours. You don’t need to match the next-door neighbors, but your choices shouldn’t clash either. If your home is, let’s say “trim-rich,” your job is a lot harder. Window shutters, exterior corbels, changes in siding material, and front doors are all a chance to introduce another color. And you should, if you want to highlight those architectural features. To prevent a chaotic look, follow this rule of thumb: Use two neutral or “acts like a neutral” colors (e.g. navy blue) for every one punchy hue. Distribute the neutrals over the main body of the house and the trim, and save the bold color for the front door or another singular feature like shutters. Many homes include a mix of siding materials, some of it ready for paint and some that’s probably better left as-is, such as steel, shingles, stone, roofing, etc. This may seem like a no-brainer, but it’s so often missed: Take into account the tone and hue of any finish you’ll leave unpainted and make sure it works with the colors you choose. For example, if your main level is covered in gray and ivory stone, and you’re choosing a color to paint the siding on the second level, choose paints that coordinate and balance proportionally with gray and ivory. 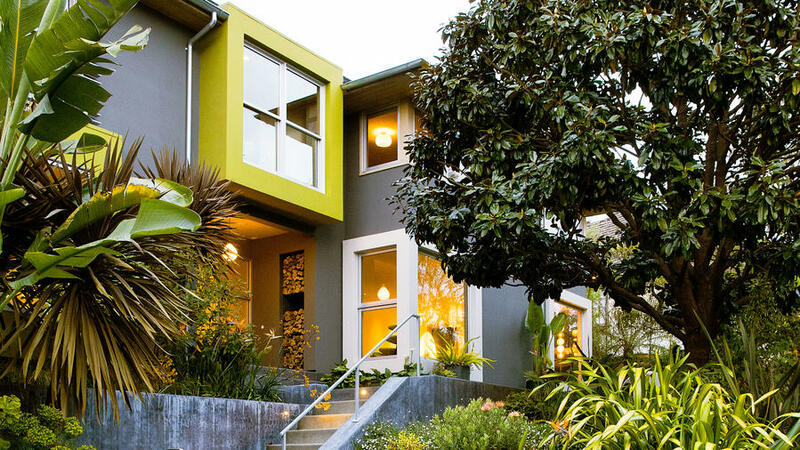 No surprise here: A home’s exterior color affects the visual impact of the surrounding landscaping. You can match, contrast, or complement your yard, depending on your goals. 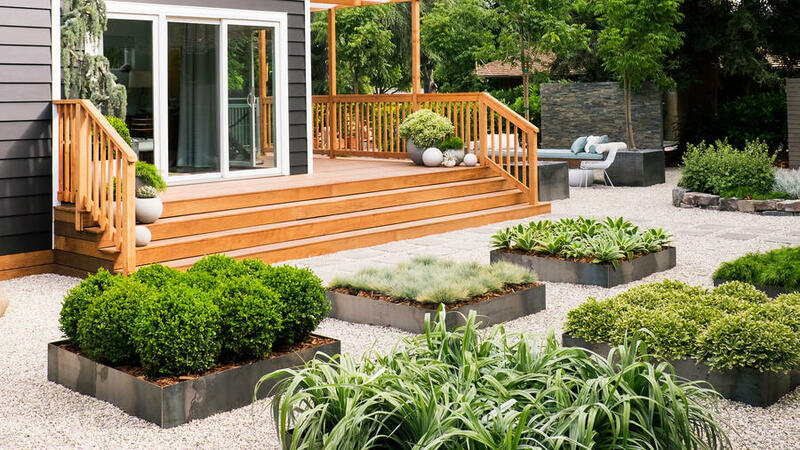 A matching look strives to mimic the colors in the landscaping with the main body of the house. Think of low-water ornamental grasses and foliage against a wheat-colored home. Contrasting might be easier, but takes some guts: Paint your home a deep charcoal and every shade of green will pop off it. (A less dramatic but still effective way is to paint your home white.) 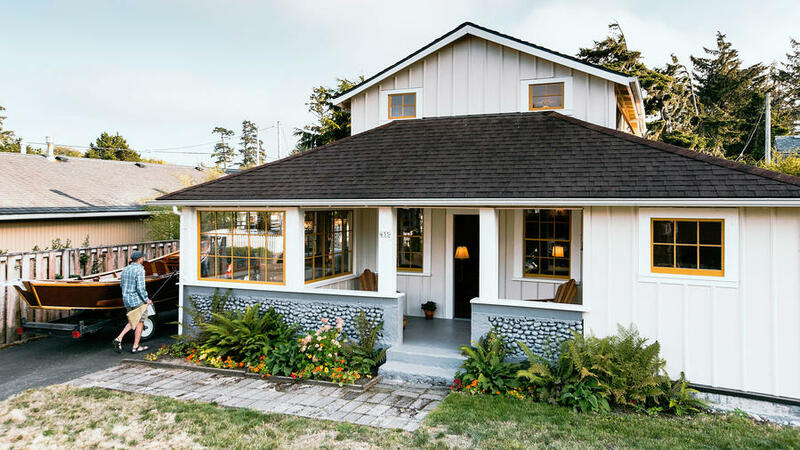 Complementing is the most difficult because it requires selecting an exterior paint color that underscores a color in your landscaping either by dialing up the intensity or choosing another hue—often a bold one—to highlight it. It’s worth hiring a color consultant to help nail it. Red is just as red in Seattle as it is in Tucson, right? Wrong. Natural light quality (determined by climate, topography, and latitude) can make a color that looks great in the store or on a sample board look completely different outside. For example, the gray cast in the Pacific Northwest pleasantly mutes strong colors, so hues like barn red and evergreen are aces. In the clear, unfiltered light of the Southwest, earth tones that would be a snoozefest elsewhere come alive. This look couldn’t be easier: Paint the entire exterior—siding, trim, even materials like stone or brick—all one color. 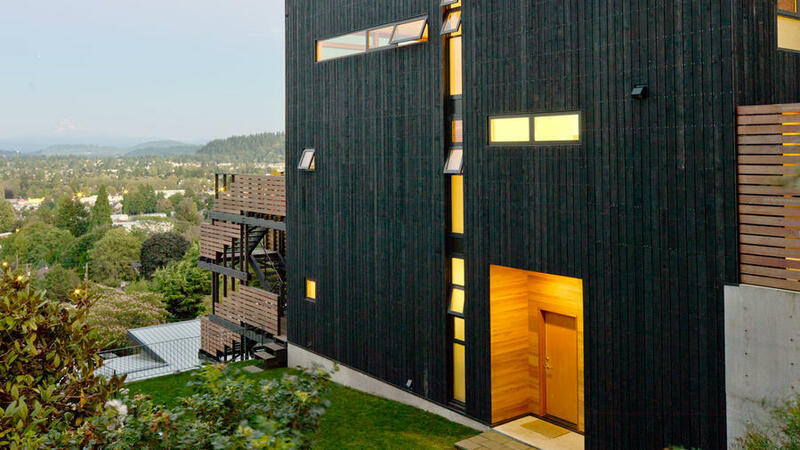 This is an excellent way to modernize a home with discolored or dated siding, but it can veer toward boring if you don’t have a mix of materials for textural interest or a strong architectural style for some drama. A whole new façade can be yours by repainting just one element such as trim, a bump-out, or a front door. Since these are smaller elements, it’s OK to choose a strong color. Two things to remember: Make sure you’re highlighting a worthy feature, like the gorgeous window muntins in your many-paned windows, and not something you’d rather not call attention to. And still keep in mind the home’s overall palette and style. A turquoise front door is a great idea at the beach with white siding, but not so much on a dark brick Tudor. Black, charcoal gray, slate…the deep end of the spectrum is getting a lot of play on home exteriors now. With good reason: This look has staying power and adapts to many different styles of homes. But remember that, just like with any hue, there are many shades of black. Grab a few favorite paint chips and fan them out in your hand alongside a pure (i.e., neither warm nor cool) white chip. You’ll see that some have green undertones, some blue, some purple, etc. The undertones will be more evident in shady areas or at times of day when the sun isn’t shining directly on the color. The good news is the change is subtle, so go with what you love and trust your landscaping will still look amazing against it.